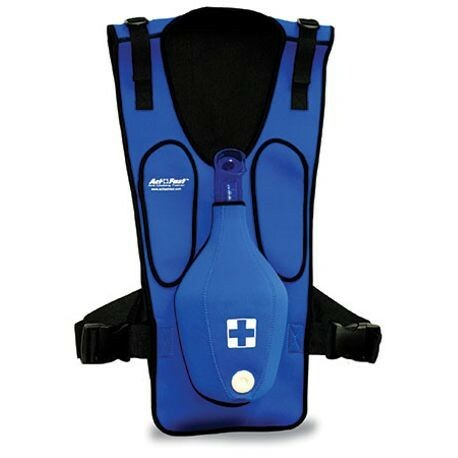 The training vest can be used in a variety of positions to create realistic scenarios, including standing, sitting, and laying on the ground. Also, it allows the student to practice self rescue using a countertop or chair. Transparent PVC airway allows user to see release of obstruction. Large easy snap buckles with adjustable straps. One size fits all. Back Pad (red only) crumple zone for practicing back blows. Navel aids in correct hand placement.